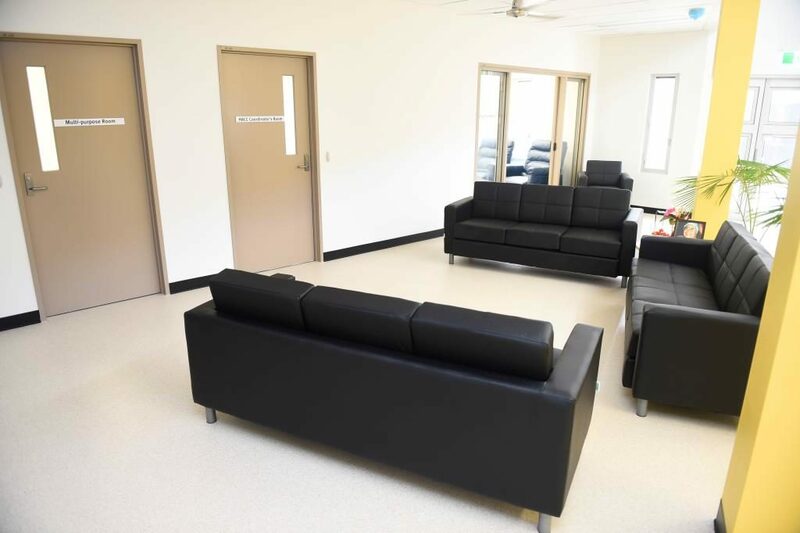 The Palm Island Home and Community Care Centre (HACC) project was funded by the Department of Communities and is located within the grounds of the Joyce Palmer Health Services (JPHS). The Palm Island HACC facility was designed to provide home and community care services to the frail, aged and young disabled on Palm Island. RCP was engaged by Queensland Health in the capacity of Project Manager, Project Programmer and Superintendent to the D&C Contract with Hutchinson Builders throughout the procurement and construction stages of this project. Due to the remote location of this project, it was determined that a prefabricated solution would provide the most cost effective means of construction. Although the building was required to be transportable, the level of quality was still to be delivered to the same standard as a typical construction project. Modular construction requires a typical period for design at the beginning of the project however it enables the early procurement of materials once certain hold points have been achieved. This led to considerable programme efficiencies for the HACC project. The modular construction was carried out in Hutchinson Builders’ Yatala prefabrication yard in a controlled environment enabling a high level of quality control. Contractor defects inspections were completed progressively throughout the factory construction phase with client defects inspections taking place at key milestones such as rough-in, pre-sheeting and pre-loading for road transport to Palm Island. This was instrumental in achieving the economical and timely delivery of the project. The HACC building was designed and built using durable materials and robust structure to withstand the harsh coastal environment, potential exposure to cyclones and ability to transport the modular segments from South East Queensland to Palm Island.